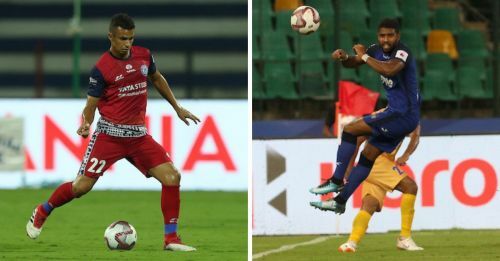 Jamshedpur FC will lock horns against the current champions Chennaiyin FC for another exciting clash in the fifth season of the Indian Super League. Jamshedpur FC currently has 11 points from eight matches. Apart from the two wins, Cessar Ferrando's team drew five matches and has lost only once. However, Jamshedpur FC hasn’t won their last two fixtures. Chennaiyin FC finally tasted success this season against FC Pune City. Before being to Pune, the Marina Machans had only one point, from a draw. At present, Chennaiyin FC has four points from seven matches. Chennaiyin FC’s only injury is Dhanpal Ganesh, who hasn’t featured this season and is expected not to, anytime soon. Jamshedpur FC has a ‘centre-of-attraction’ at their midfield in the form of Memo. The Brazilian midfielder has scored one goal from the eight matches. He has averaged 62.5 passes per match for the Men of Steel, thus taking up crucial roles. Gregory Nelson will be a key presence for the current champions. Though he has scored only once this season, Nelson’s attacking qualities will be of great importance for the team. A good performance from him will be necessary for their win. Two teams aiming to control the game in the middle of the pitch will be facing each other. Chennaiyin FC, though out-of-form, do have the ability to put up a good fight. But it might not be enough to overcome Jamshedpur FC.